Eating the same thing a few mornings in a row can get a little tiresome, even for the youngest eaters. But it may be easier than you realize to add new and interesting flavors to baby’s morning cereal. Master these basic methods and serve up flavorful fruit-enhanced cereal every day of the week that baby will babbling about to all her buddies at play group. If baby is new to eating solids but he’s already shown that he likes bananas, try using the beloved fruit as a base to introduce new fruits. The familiar flavor will help baby to get to know new foods without being too surprised at the new flavor. Simply mash a ripe banana with ripe berries, then mix it into either warm or chilled cereal. If you love carrot cake, there’s a good chance that your baby will too. To make pureed combinations with similar flavors, consider mixing pureed carrot, apples, and cinnamon, or try pureed zucchini, pears, and a touch of ginger or pumpkin pie spice. Add to the morning meal and let your little one enjoy a taste of all of the delicious baked goods to come. Zucchini bread is a morning favorite; let your baby enjoy the delicious flavors of this quick bread by pureeing zucchini, pears, and a touch of ginger, then mixing it with his cereal. This unexpected combo is a classic baby favorite. Blend with breast milk or formula (or mash together), then mix it into your baby’s favorite oatmeal or rice cereal. 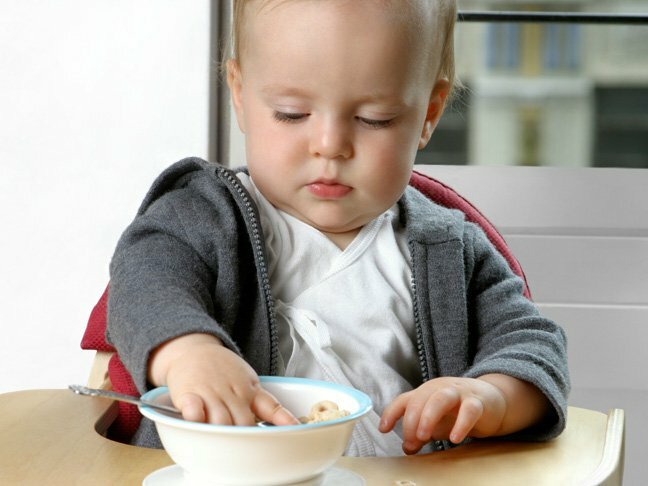 9 Ways to Deal When Your Baby Gets Picky About PureesWhen Can You Introduce Yogurt to Your Baby?